Several weeks ago, Tarte was having a friends-and-family sale for 40% off all items. I took advantage of the sale and got me some blushes. 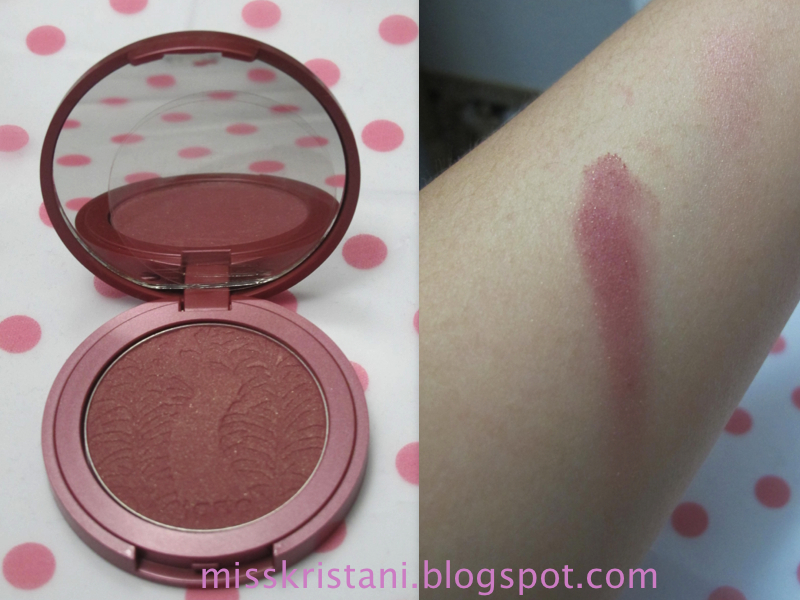 I love me some tarte blushes, and I have heard great reviews about the amazonian clay brushes. I know it's quite old products, but they're still popular which can only mean one thing. They're really good. I bought one a while back at Ulta, it was a deluxe sample size product with the bronzer. I wasn't in love with the bronzer, but I really love the blush which was in the shade dollface. I got two shades from the sale, buff and blushing bride. They were originally $25, and I got them for $18.40 each. Good bargain. 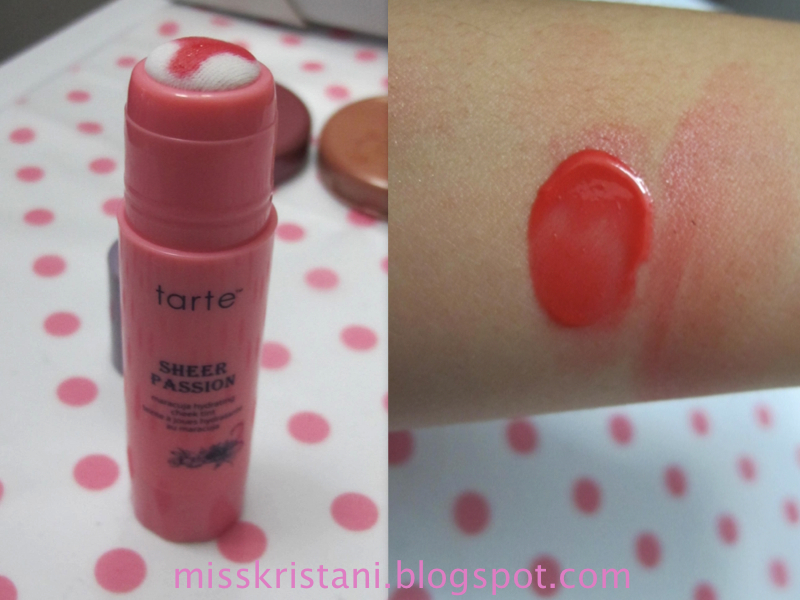 I also decided to get a Sheer Passion cheek tint which was a discontinued product. I know I should've been skeptical about discontinued product, but I caved in because it was only $10 and I love Tarte products so far and I also read some good reviews about it. I also got a sample of brazilian tanner, which I might do a review on later. This shade is a shimmery plummy color which would look great on fall, but I can also get away with it pretty much all year long. I gotta be honest, the name kinda got me a little bit. I mean come on, blushing bride sounds really romantic and promising. 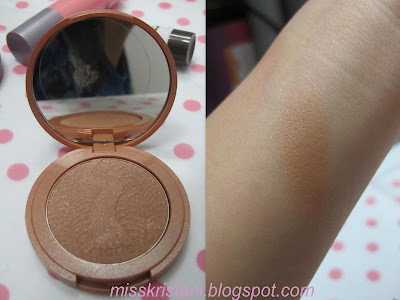 I also watched Jen from frmheadtotoe did a bridal look tutorial using this blush and she looks really pretty. I don't really have a blush that's in this color family. I watched Tiffany from MakeupbyTiffanyD talked about it in her video. The blush looks tanned on the packaging, but when I swatched it, it appears more peachy and really flattering. I also learned a while back that Tarte was the makeup brand used of the Katniss Everdeen no-makeup look in The Hunger Games. In this video, a makeup artist uses this shade to achieve the look. Lately, I've been leaning towards cream/liquid-based products than powder. I just feel like warmer weather is not a good friend for powder. This cheek tint might look very pigmented, but once you blend it out, it had this sheer glow which I really like. The lasting power of this tint is pretty good too. Overall, I gotta say, Tarte Amazonian Clay 12-hour blush is definitely one of the best blush out there. They're pigmented, and they also have this ability to stay on your face and make you look more put together even after going through a whole day out in the sun. I've tested it out today where I spent all day in the park playing games with friends. I totally recommend this blush. Pretty shades, great formula, awesome lasting power! I really want to try these blushes out!